Ten Chinese cinemas have been named-and-shamed for operating dual ticketing systems that enabled box office fraud. This is down from 16 in the last quarter of 2014. China The film Distribution and Exhibition Association (the “Association”) issued a public notice, informing the 10 theaters in the recent illegal use of “dual system” ticket, movie box office revenue evasion concealed, withheld ticketed and other irregularities. Announcements, during the “One hundred thousand bad jokes”, “symphony” release, the presence of two theater tickets using hand trapped ticketed violations. 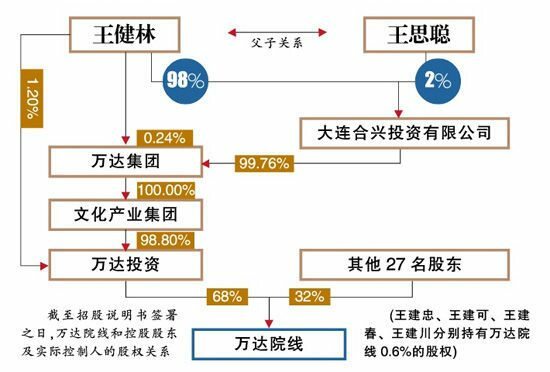 Beijing Chinese Commercial News has a detailed article about what is behind the fraud (“the cinema development trend of the past two years can only be describe as blind expansion”) and what needs to be done to prevent future fraud. Although so far, the Association for the violation theater penalty processing is not yet clear, but according to regulations, someone need to pay a fine theater 300 000 -100 million, while stopping for 4-6 months slice, and then cancel the front-end After returning, the funding and incentive eligibility punishment. The Wanda Cinema IPO has made paper millionaire of a lot of Wang family members. But the millions of shares they bought for 1 yuan (not per share but for ALL of them) cannot be cashed in for three years. The share price is expected to rise further as it currently only trades at 19.1 times price-earnings ration, compared to an average of 33-1 for the cinema industry. 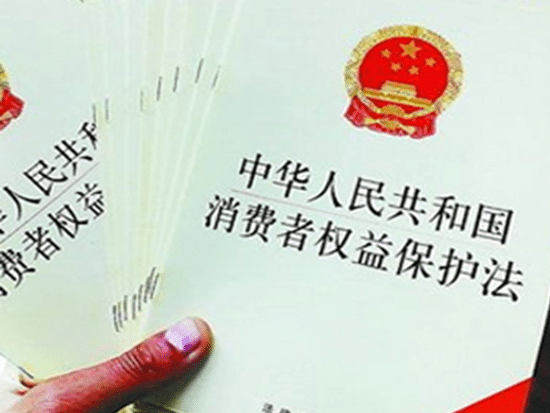 It should be noted that the cost of obtaining these hundred million shares worth only 1 yuan. In 2010, Wang Jianzhong, Wang can, WANG Jian-chun, Wang Jianchuan won four equity transfer Wanda Cinema, and the transfer of the total price you are one yuan, the reason is that these four people as brothers and Wang Jianlin. The move is also considered, the richest man Wang Jianlin back to their family members. Sina Finance is bullish on Wanda in an article that reads like a paid advertorial. A more balanced overview of the IPO and the future plans of Wanda by Win Business Network can be found here. (Win Business Network Shenzhen station reported) recently won the Business Network reporter from Greenview Group was informed just listed Wanda Cinema to build positive brand new theater group to explore cooperation with the Greenview. Sources said Wanda Cinema is planning to build a brand new community theater, with the intention of Greenview’s junior ? series of community shopping center for cooperation that the two sides have reached a preliminary agreement on strategic cooperation. Zhuzhou News has some bad news for those that hoping that cinema building outside the major metropolitan areas can continue the breakneck momentum of China’s exhibition sector of the past few years. Urban film market is saturated, to seek new growth, a number of theater companies will invest turning to the county market. 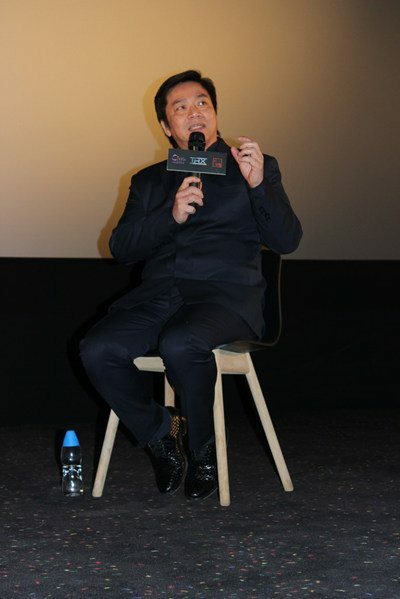 However, the City Film Office data show that: in 2014, the city’s theater box office reached 80 million yuan, about 2.8 million people watching the films. 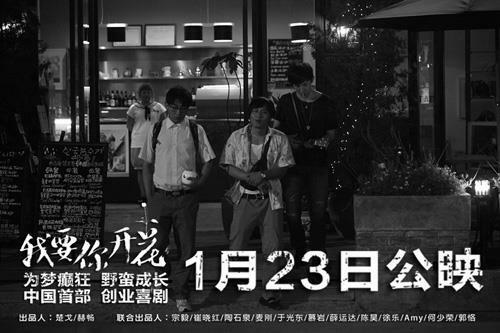 Among them, the county seat theater contribute only 6.478 million yuan at the box office, with audiences only 216,900. 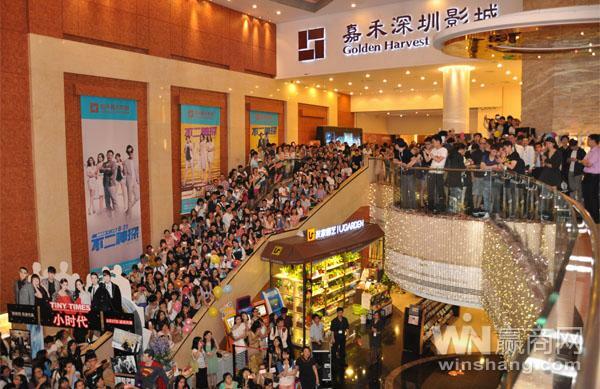 It seems that 10 years is the life span of multiplexes in saturated markets, as was the case of this one in Zhejiang. How long can open a movie theater? Yesterday afternoon, the reporter standing in Quzhou Kecheng downtown New Bridge Street on the 9th, this collapse of the “Carnival Studios”, gave the answer: 10 years. From 2004 to May 2014, became the first province Carnival Studios collapse multiplex cinema. It quietly closed, Hangzhou last weekend when a theater veterans inadvertently revealed the news, reporters very surprised. Because, in reality, is the background, in the 2014 Fiesta Studios closed, the national new cinema 1015, an average of about three new theaters open for business every day, only Hangzhou last year added nine theaters. In a large upscale theater that more and more of the moment, with the point of the news means unusual. 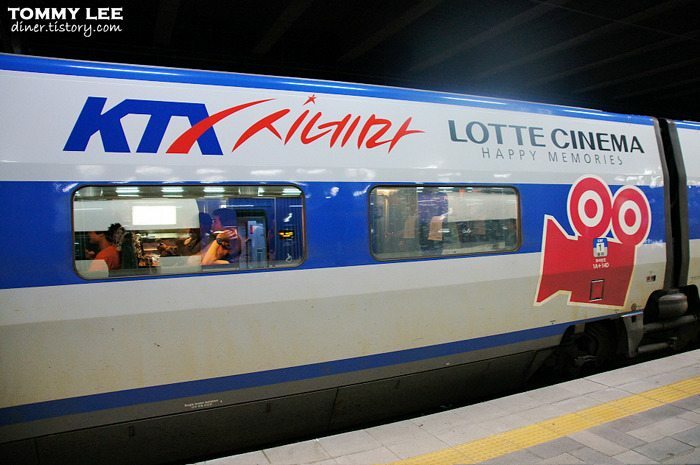 An agreement has been signed to export South Korea’s ‘cinema train’ concept to China. We like the look of it. According to reports, South Korean entertainment company CINEWOOD 21 Chinese legal person, said the company on the 16th of this month in Beijing and China signed a film distribution company, “China’s high-speed rail trains theater export letter of intent.” The two sides will formally signed a contract in February, and in May, held a cinema in Beijing test ride the train station. The success of the re-release of “Journey to the West” prompts Tencent Entertainment to ask why more old films aren’t being shown in cinemas. Re-releasing recently little time and again the momentum of three. First, “Westward Journey” came out of and then “Great Master” dressed in a vest playing 3D, followed by “Kung Fu Hustle”, dressed in the same vest has come, once again turn to “Love Story” ( Maggie edition Betty Sun version ). Re-releasing so many old movies, a problem with it is that, and why almost all the cinemas, almost all the time, are in the film put it? Rather than “Kung Fu Hustle”, not “Great master”, not “Sweet” mean? And here is another view that says we shouldn’t think that “the grass is always greener” on this issue. “The Hobbit 3” has done blockbuster business in China, but Modern Express is astounded how many of the cinema patrons only paid 9.9 yuan [USD $1.58] for online tickets through third-party micro-blog services/ticket machines. Reporters Login certain third-party electronic business platform found that not only the new theater Wuxi peace theater, cinema and other old World Studios, Orange Sky Golden Harvest Studios Wuzhou shop, Coast Studios, as well as some rare buy discount Studios, are involved a 9.9 yuan to see large events. Entering 2015, the film market has entered the second half of Lunar New Year stalls, “The Hobbit 3”, “Night at the Museum 3”, “Return to the Age of 20” and other blockbusters have been released. 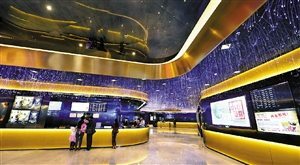 The city’s theaters to attract more customers open price war, half of the 80 yuan [USD $12.80] movie ticket will be able to buy, once nearly 200 yuan [USD $32] minimum IMAX movie now less than 30 yuan [USD $4.80]. Changzhou Evening News takes a dim view of the implications of super cheap tickets. 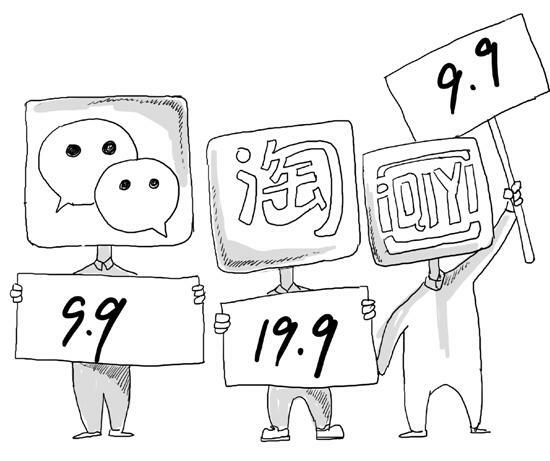 Not 39, not 29, as long as 9.9 yuan, the electricity supplier that a subversive, “burn” to the movie ticket sales cycle, throwing money at the open. Traditional cinema sit still, although there are subsidies, but the audience accustomed to watching a large low-cost fares would like to return to the past will be very difficult. THX roped in major HK talent for the launch of the first THX-certified cinema in China. China’s first THX-certified auditorium – International Film Studios in Shanghai, stationed in Shanghai Changtai Square, and yesterday at the opening ceremony. Hong Kong director Stanley Tong and other guests attended the opening ceremony. During the interview, Stanley Tong dark theater insider revealed during screening. It’s been a crowded release schedule this past week with cinema owners complaining about too many titles, with only two performing well. Which cinema in China tops the box office league? Win Business Network has the answer (and the full list). Where the theater box office top ten lowest over 28.82 million yuan, respectively, Shenzhen Orange Sky Golden Harvest Studios (Vientiane City), International Film Studios (Happy Coast Branch), Shenzhen Poly International Studios (Poly Culture Square), UA theater (KKmall), Shenzhen Jin Yi Studios (Center City), Shenzhen Bona era Studios (Huaqiang North Mao industry), Shenzhen Broadway Studios (COCOPark), Shenzhen Film Antaeus Studios (SZITIC Square), Shenzhen Wanda Cinema (Haiya shop) and Shenzhen Coast Studios (the coastal city). I can’t quite make sense of this cinema-game tie-up between Wanda and My Name MT2. 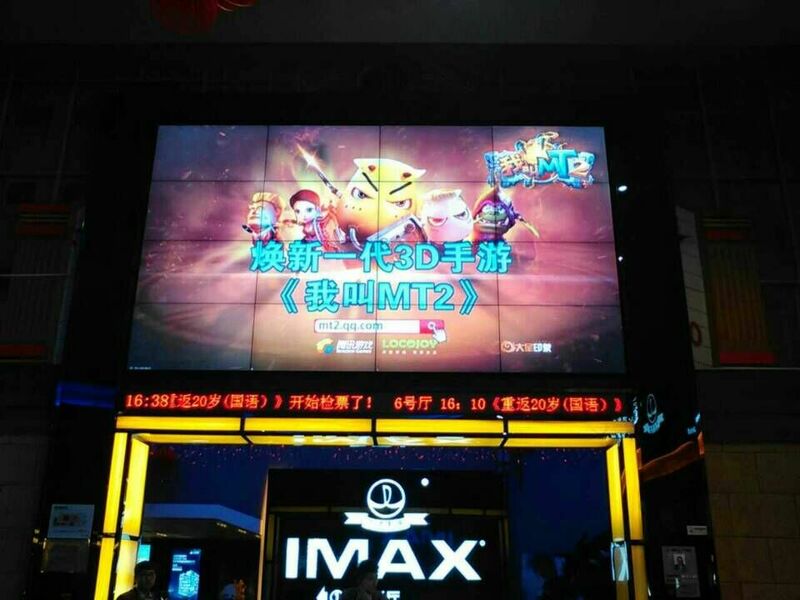 “My name MT2” with Wanda Cinema who borrowed Who potential? Chinese distributors are starting to experiment with day-and-date releases for cinema and the home. Though so far only for small comedies. 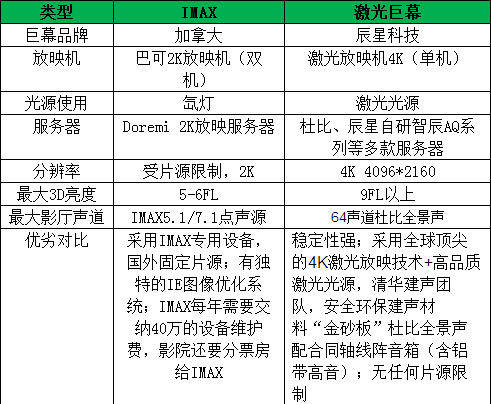 An overview of the three competing PLF systems in China and how Imax squares up against what is still being called DMAX. It is understood that China’s domestic market IMAX theater can be divided into three camps, the world’s most famous giant-screen system First Canadian invention, IMAX, and the other is with a state-owned background in the Chinese market in recent years and is maturing DMAX “Chinese giant screen,” there is a class that is in digital cinema technology research-based background Chen Xing digital technology international 2013 launched the first “carry the tripod” Cinelab laser giant screen solutions. More complaints about cinema patrons being “forced” to buy 3D glasses. And are they properly cleaned? There is no end to how many times the same story pops up. 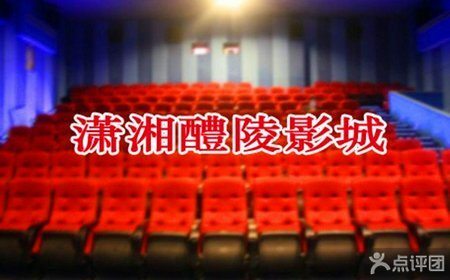 26 people Xu and friends to a friendly neighborhood theater to watch 3D movie “The Hobbit: The Battle of the Five Armies.” Buying movie tickets, only to find the entrance hall there is a shadow notice, theater no longer provide free 3D glasses, consumers need to spend 10 yuan to buy. 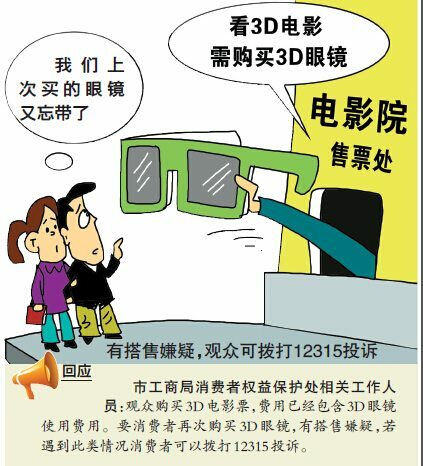 As it has been bought movie tickets, desperation, Mr. Xu has bought two pairs of 3D glasses. More debating about cinema patrons right (under consumer protection law) to bring in their own food and drink. Now cinemas are worried about “food poisoning” from other foods brought in. According to Ms. Fang said in the afternoon that carries shop to buy a drink glass beverage arrived at the age of seven road movie big shadow world view, in the admission ticket, the staff asked her to drink storage, can not be brought. Its staff, said the theater audience comes beverages and food declined viewing, to avoid food poisoning and let the theater audience to take responsibility. 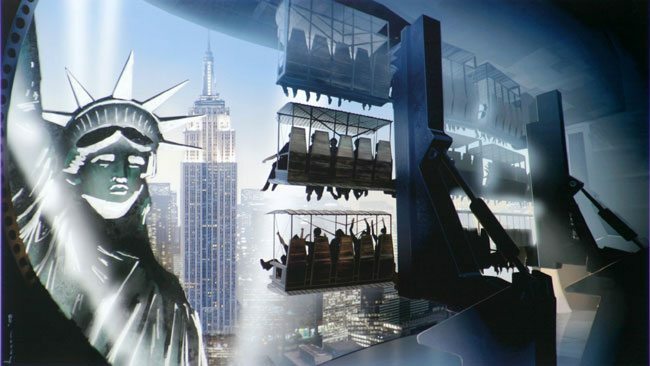 A two-year court case by a cinema patron who fell and injured himself in a dark theme park “Window on the World – USA” cinema attraction has ended with a USD $40,000 settlement. 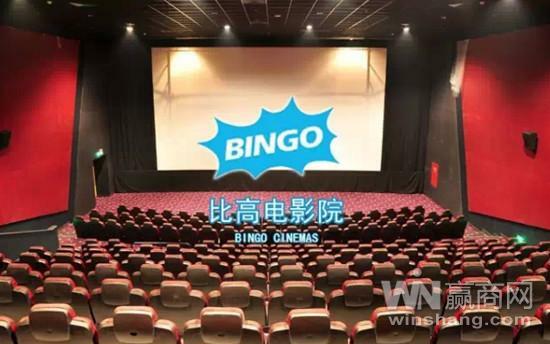 Hong Kong actor/director Stephen Chow is venturing into the Mainland exhibition business with his Bingo Cinema brand, with ambitious plans in second and third-tier cities and an aim of 36 theatres with 260 screens over the next few years. 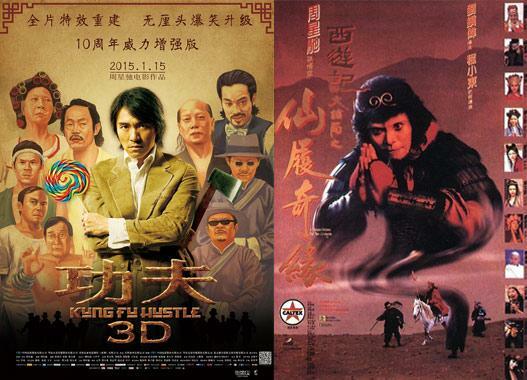 Stephen Chow’s movie brand ” High and Theater “will be stationed in Anhui! According to news reports, January 19, Nanxiang culture Suzhou and Shanghai Commercial Operations Management Ltd. Long Shadow Investment Advisory Services Ltd. in Suzhou formally signed a cooperation agreement, declared that “High and Cinema” officially settled in Suzhou Nanxiang gathered Cultural and Commercial Street. China Pacific International Cinema Village has opened a new cinema in Shenzhen with both Imax and Dolby Atmos – but not in the same auditorium. Recently, the China Pacific Cineplex IMAX bow village store opened in Shenzhen, Studios located in Longhua District, with nine video hall, nearly 1400 seats, Shenzhen China’s first IMAX hall equipped with dual, dual Dolby Atmos Studios, is also the first with a laser auditorium Longhua Studios. Another romantic cinema wedding proposal. We couldn’t resist. For each girl, and my heart there is a prince and princess dream. And a romantic courtship ritual, it is the most important part of the dream. 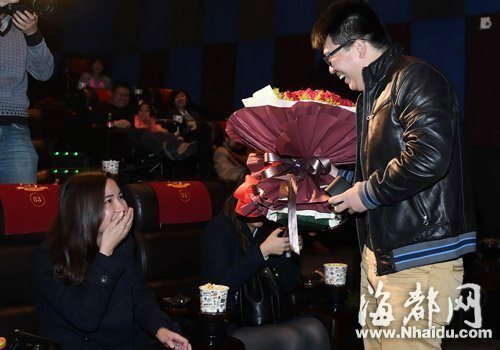 The day before yesterday evening at eight, in Fuzhou Cangshan Wanda Plaza cinema in the VIP box, a touching courtship ritual staged on time, in the blessing of friends sound, Kobayashi shy girl wearing a boyfriend Chen presented a diamond ring and become a happy fairy tale where the heroine. Two weeks ago, Chen advance communication and theater, including 24 under the theater’s VIP theater.